The Cisco SPA303 is our no-frills business-class IP phone that does not lack in call features such as speakerphone, call hold, caller ID name and number, call transfer, and more. The Cisco SPA504G is the most affordably priced, reliable, and stylish IP phone of its class. With all the enterprise-class features such as PoE capability, backlit LCD display and ability to add up to 2 extension modules (SPA500S) that can support upto 64 button for speed-dial and busy lamp field (BLF). For those looking for all the bells and whistles on your office phone, the Cisco SPA525G2 will satisfy your gadgetry with large color LCD, WiFi and Bluetooth connectivity, and 5 line appearances. In addition to providing one of the best voice quality phone conversations, you will be able to check the local weather, read RSS feeds, and play mp3 files right from your phone. The Cisco SPA500S is ideal for receptionists looking for speed dialing, call pickup, and/or extension status capabilities. Each unit provides additional 32 programmable buttons and each compatible phone can add up to 2 SPA500S units. The Polycom SoundStation IP5000 provides HD quality audio and is ideal for a small to medium-sized conference room. 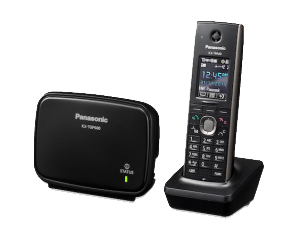 This stylish form factor conference phone is equipped with 3 microphones to provide 360 degrees to allow users to speak in a normal voice and be heard clearly from up to 7 feet away. 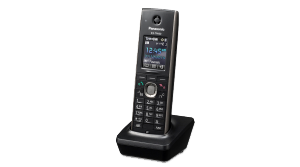 The Polycom SoundStation IP6000 is ideal for a medium-sized conference room. In addition to providing high-quality and clear audio, it is also capable of adding 2 additional extension microphones for longer conference tables. Softphones offer an alternate way to take your office phone with you, making this a perfect solution for frequent travelers. Limited features such as ability to call out using a company number, 3-way call, and extension dialings are available on a free version of softphone. Similar to Skype, it uses the speaker and microphone of your laptop or desktop and a separate headset is recommended. Licensed version of Counterpath Bria offers all the features required for a softphone, which includes call transferring, call recording, and multiple line appearances for easy call handling.